A wish to make the increasingly popular SUP sport accessible to a bigger audience and because (to be honest) we wanted to play with a better quality of watertoy equipment than was available on island at the time! Who wouldn’t want to take advantage of this beautiful environment that we find ourselves lucky enough to call home? From the beginning our company’s reputation for high quality water toys and service grew rapidly into what you see today. 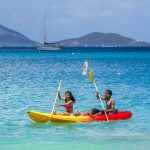 We love to see our guests out, taking advantage of the crystal clear waters of the BVI and we hope you all catch our enthusiasm and love it as much as we do. Both SUPing and sea kayaking are exceptionally easy to learn and safe. 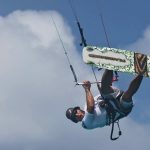 In addition to our main product of SUP’s we also provide single and double kayaks, surfboards, body boards, dinghy ladders, floating mats. and other water toys for you, your family and friends. Upon confirmation we will deliver and secure your equipment on your charter yacht. If you don’t see what you are looking for listed on our equipment page then please contact us as we are constantly updating our inventory. Chris Ghiorse – A 27 year resident of the BVI. He is known locally as the “bike man” and is considered the ultimate go to guy for any endurance/fun sporting event. Nearly every triathlon and cycling related event held in the BVI is a creation of Chris’ vision over the years. 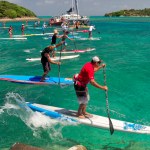 Turning his attentions to SUP adventures has only added to his enthusiasm for having fun through physical activity. Creator, owner and operator of Formulas That Fit. Since 2008 Chris has provided free education to over 1200 children in bicycle safety awareness under the acronym BSAFE (Bicycle Safety Awareness For Everyone). Life saving and First-Aid/CPR responder certified. Craig Chomiak – A 30 year resident of the BVI. Craig’s enthusiasm for all dynamic activities (skate boards, rock climbing, anything that involves water or snow) led to his creation of BVISUPCO. 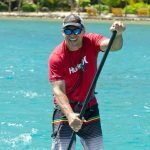 An avid SUP-surfer and kiteboarder, Craig spends his free time on the water enjoying the waves and wind conditions found here in our islands. If not, you can find him chasing deep powder anywhere! PADI Dive instructor and boat captain. Life saving and First-Aid/CPR responder certified.